Is ‘I have nothing to Wear’ a phrase you often hear from the depths of your wife’s wardrobe whilst she is getting ready? Fed up of your husband letting you down on the personal style front at parties and weekend events? Been searching for a fun, worthwhile and life-changing gift idea? Or, are you looking for a super special gift for the person that has everything? If the answer to any of these is yes, then a Wardrobe Insider Personal stylist gift voucher is the perfect solution! Designed in the shape of a quirky wardrobe, the personal stylist & personal shopping gift vouchers are fun to receive and can be bought for any Wardrobe Insider style experience, complete with a six-month validity to complement the seasonal clothing selection! Pick from a cleansing ‘Wardrobe Detox’ experience where the order of the day is making sure your recipient feels 100% with every single piece of clothing, identifying their personal style & detoxing the pieces that aren’t working for them in the way that you should. Or the 'Retail Therapy' shopping experience which is a full day of shopping advice; packed full of what to wear tips and tricks, new style ideas and bespoke fashion advice. Whether a whole new wardrobe and a fresh personal style is needed or just a few key pieces to update into the next season, the personal shopper day is there to solve any style requirement on their budget and is a whole lotta fun! Perhaps your loved one has a packed wardrobe full of fashionable pieces that they want to keep but they continue to wear the same few combinations? In that case, they need the ‘Outfit Organiser’ experience – the most exciting way to reignite the passion and excitement for all of their clothes, discover a whole new wardrobe without spending a penny and have it all catalogued in easy to reference pictures! Is your husband in need of a new image at the weekends or his Monday to Friday suit looking a little tired? Then the ‘Dapper Chap’ personal shopping experience is the ideal remedy. Designed for the man that hates shopping or the man that has no time to shop, this compact day will make the retail environment as stress free as possible for him but deliver amazing results with a stylish new wardrobe and lots of top tips on creating awesome outfits. But if you’re feeling like they need a touch of everything, then why not treat them to a personal stylist combination where they can experience it all and feel super stylish from head to toe. And don’t worry if you’re not sure which combination to pick for them, we can have a chat about their bespoke style requirements and create a package that they are sure to love and will ensure that ‘I have nothing to wear’ is a thing of the past. I look forward to helping your loved one look amazing and therefore feel amazing, every single day! Contact me to find out more and to purchase a voucher. All Style Experience costs are plus travel expenses so final cost will be confirmed at time of booking. All gift vouchers are posted out in lovely packaging and first class post so please allow at least 2 days notice before you need your voucher in order for the voucher details to be organised and posted out to you. 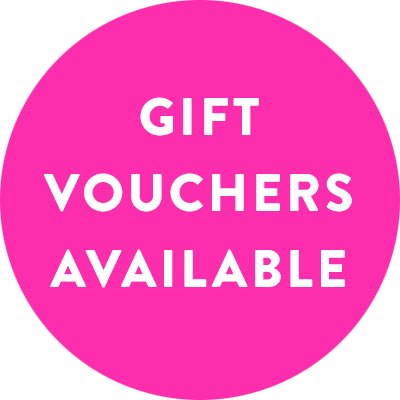 "The gift vouchers that Katie offers are an awesome idea – they make it easy and efficient to buy your loved one a special gift but not have to choose a date and get too involved – always a risky idea for a man :-). Katie was incredibly prompt at organising my voucher and it arrived all ready to give to my wife so I didn’t need to do anything. She loved the two days with Katie and will definitely be back next season. " "Such a great gift for my girlfriend, especially for a woman who is hard to buy for. Don’t hesitate to get a gift voucher with Katie – major brownie points! My girlfriend couldn’t have been happier with the experience and has already talked about booking her next shopping day. Thanks again Katie." "We grouped together amongst the girls to buy Stef a memorable present for her 40th and it was the best decision ever. Not only did Steph love the day but I ended up booking a Wardrobe Detox and shopping day with Katie following her experience. The gift vouchers are so stylish and such a fun, unusual way to treat someone special. 5 * Katie!"